If you're like most of us, you spend your whole damn life working for everyone else: the bank, your spouse, or your kids - it's rare that you carve out some time to stop and focus on the vitally important questions. You know, the one's that are critical, but not urgent, like: "Why am I still in this job? Wasn't this supposed to be a stepping-stone? Why do some people seem to be doing better financially than me? Will I end up eating home-brand bangers and watching Family Feud in retirement?Am I on the right path? "Together we're going to answer these questions. I'll give you a step-by-step plan that will clear away the cobwebs of doubt and give you clarity and confidence. But to get the most out of it, you need to do your part: sit uninterrupted in an easy chair, with a biro, a cuppa and a Tim Tam or two.To be truly happy you must be in control of your financial life - or lack of money will control you forever. 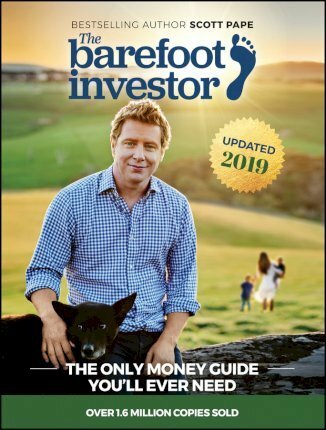 So in this book, I'm going to step out my plan -- a plan that's allowed me to tread my own path, and will allow you to do so too.Over the years I've successfully taught this plan to thousands of people, from elite athletes to single mums on Centrelink. I'm confident it will work the same for you as it did for for them.I understand how busy life is. The average visitor to my website stays for around 2.38 minutes (or so my web geek tells me)... and I'm asking you to spend an afternoon with me? !So at the start of this journey together, I want to honour your commitment, and that's why I'll make this promise to you: You will be able to buy everything you need, while achieving your number one goal: whether that be dumping your debts, radically paying off your dream home, or retiring with dignity. You'll achieve it without using a strict budget, or living like your poor old Aunty Mavis. Above all, I'll give you the freedom to tread your own path.Sounds like bulldust, right?All I ask is that you keep an open mind. Read this book in your comfy chair, enjoy the bikkies, and follow all the instructions.Trust me on this: as you begin to see the plan working, your confidence will soar.